Welcome to 466 Parma Center Road! 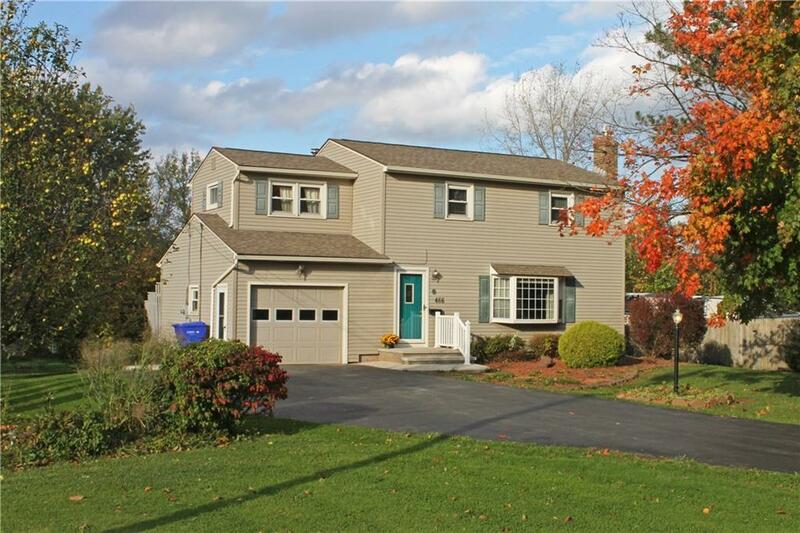 Country Living at it's finest - This well cared for 4 bedroom Colonial has so much to offer, starting with a 1+ acre lot. Ample natural light throughout. 3 Season Sunroom (Not included in Square Footage) overlooks the picturesque back yard. Four Spacious bedrooms, Hardwood floors, Gas fireplace. Big ticket upgrades - High Efficiency Furnace, Vinyl Siding, Backup Generator Hookup, 150Amp Electric, Vinyl Replacement Windows & Architectural Roof. Attached Garage w/ Natural Gas wall heater. All appliances included. Septic Pumped/Inspected 10/16/18. Overall, a great home and a great value. Hilton Schools! Directions To Property: From Route 104 (Ridge Rd.) Take 259 North To Parma Center Rd. Turn Left, Home Will Be On The Right.